This offwhite faux leather little makeup case can also be used as a little purse. 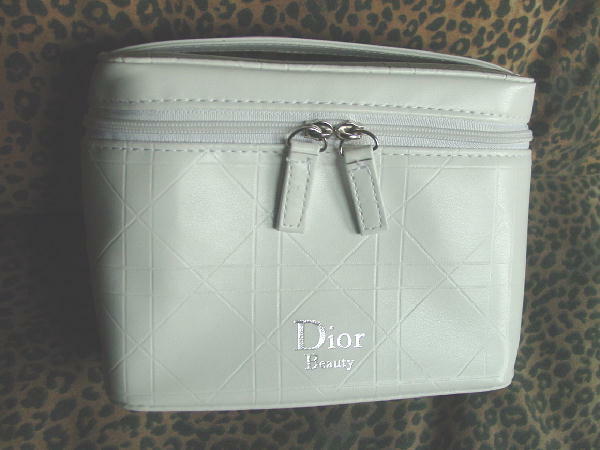 It's by Christian Dior and it says on the front in silver lame letters Dior Beauty. The exterior has a design pattern of etched lines. 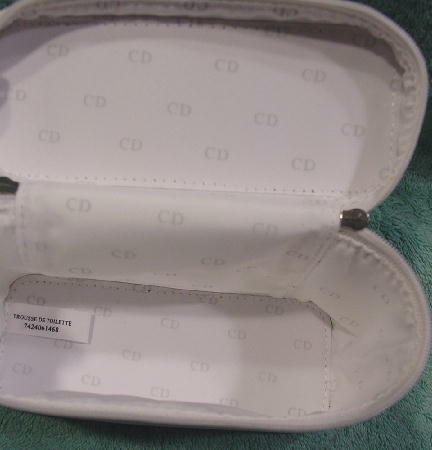 The interior has a pure white color plastic lining with CD in light gray letters all over it. It has two little zippers with long faux leather pulls. The top has a little handle with just enough room to get your fingers through it. It's from a French model who got it as a present with a key to a new car in it. She sold it beause her now-exboyfriend took the car back.